'Danube bridge 2' is the second bridge linking Bulgaria and Romania across the River Danube, between the cities of Vidin and Calafat. The bridge was designed by Carlos Fernandez Casado, S.L. and built by the Spanish company Fomento de Construcciones y Contratas. 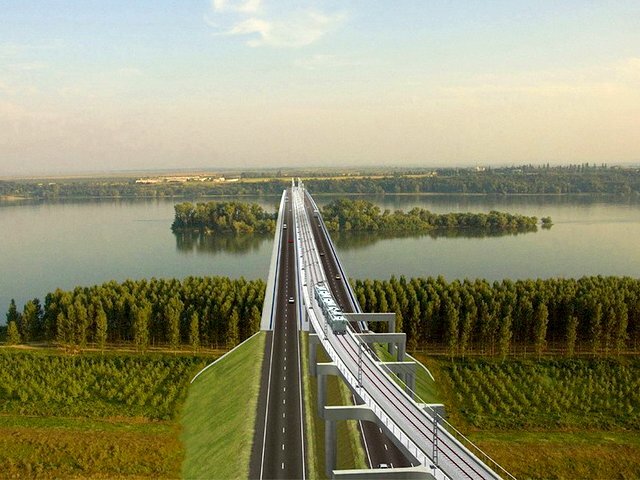 This is the longest bridge over the Danube river (1971 meters in length), with two lanes of roadway, one railway and two walkways for pedestrians, which will reduce considerably the time for passing from Asia to Central and Western Europe.